Do eat more than one though. You need to so that you can appreciate the beauty of so few ingredients. They are part jaffa, part floral bouquet! Even The Boy, who doesn’t like earl grey flavoured things, wolfed down what was left after this photo shoot. They’re the perfect tea-infused treat! They’re also super easy to make. So what are you waiting for? 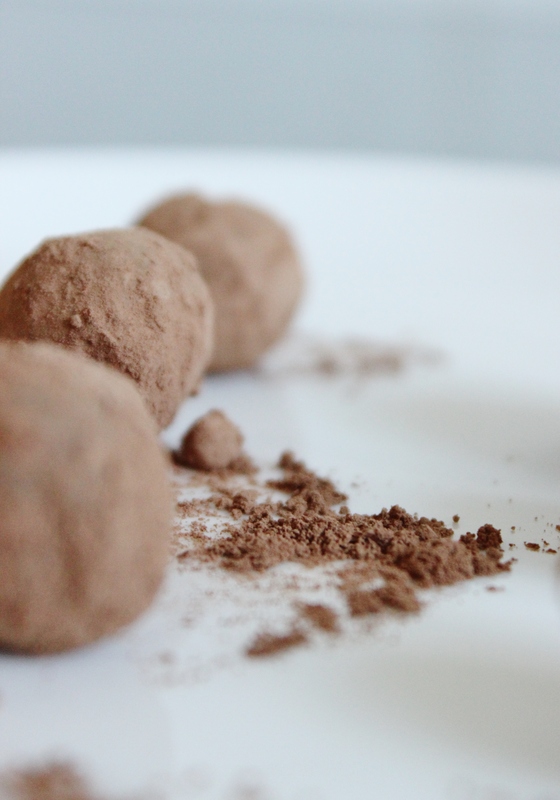 Pop your chocolate in a heatproof bowl over a pan of simmering water and stir regularly to melt it. At the same time as your chocolate is melting, put your cream, tea leaves, zest and vanilla into a small pan and combine over a medium heat. Bring the mixture to a gently simmer, then stir for two minutes to allow the flavours to properly infuse. Pour your cream through a strainer and discard the zest and tea leaves. Give them a press with the back of a spoon to ensure that you get as much liquid out of them as possible. 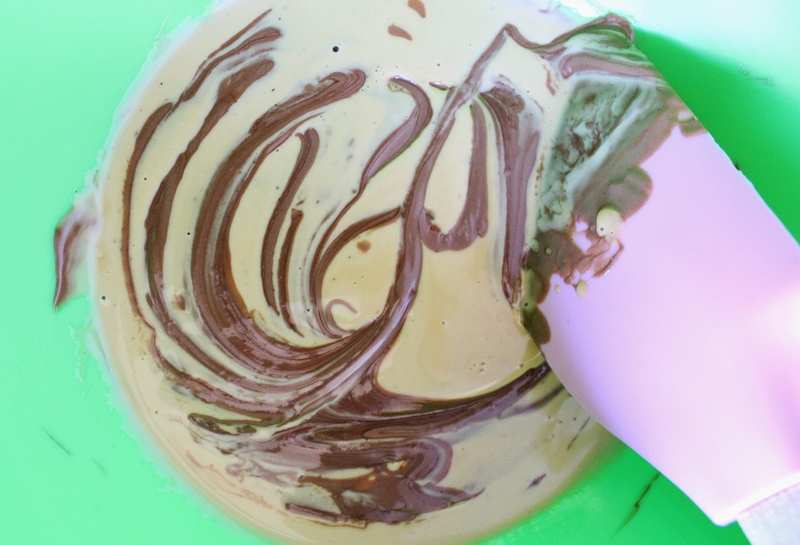 When your chocolate is completely melted, pour it into the warm cream mixture and mix as swiftly as possible, as it will start to harden up slightly. 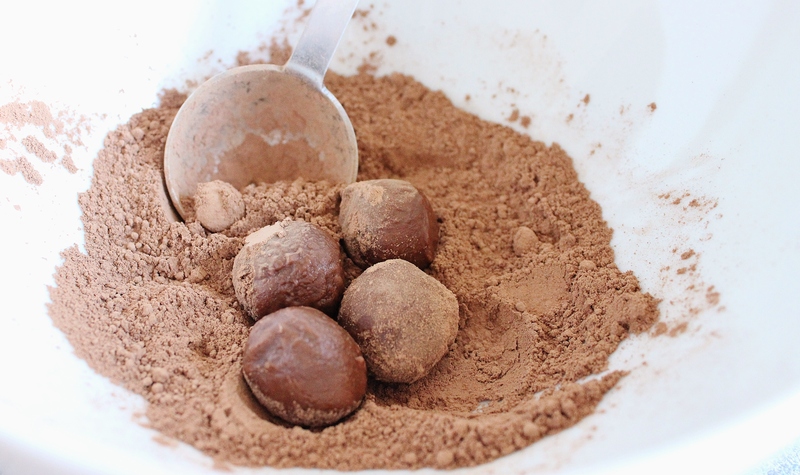 Pop your chocolate mixture into the fridge for 20 minutes to form up. Put your cocoa into a breakfast bowl and set it to one side. Whip the mixture out of the oven and grab a teaspoon. Use the teaspoon to scrape about a teaspoon’s worth of chocolate from the chilled chocolate. 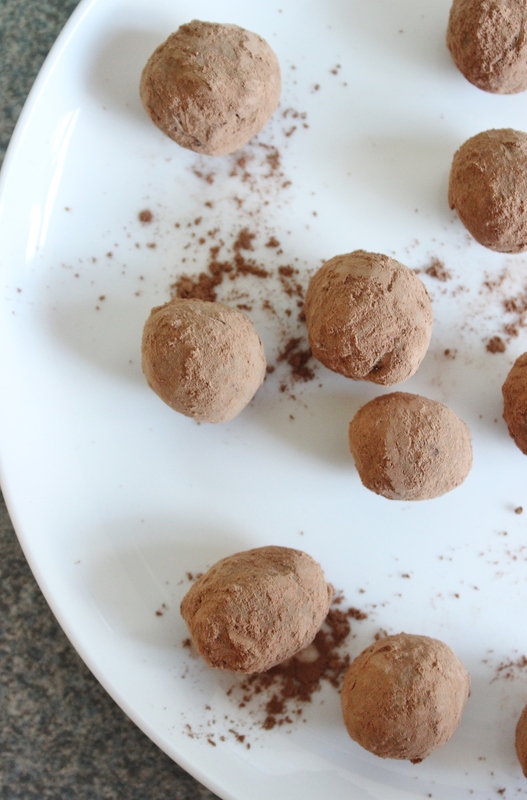 Dampen your hands slightly and roll the chocolate into a ball. Repeat. Don’t worry about making them perfectly round, they’re delicious regardless of imperfections! This part of the recipe is repetitive and gets messy. Enlist friends/children/neighbours to help, it’s actually fun! Wetting your hands slightly stops the chocolate from sticking to your hands quite so quickly. When you’ve rolled all of your balls, plop them in the cocoa in batches and swill the bowl around to coat them. Use a spoon to fish them out and shake some of the excess cocoa off them. Plonk them on a plate and prepare to impress your guests! Earl Grey is my favorite tea and i love that you combined with chocolate, these sound wonderful. Agree with apuginthekitchen. earl grey and chocolate sound like a delicious combination. I will give these a try! Oh thank you!! Let me know how they turn out for you!! Love the photos and the idea! Thanks Laura 🙂 I’m a little tea obsessed!